The usual competitions for Atari demo/intro, graphics and music will be held. Demos that work on our compo hardware hardware will be run live while other Atari platforms will need a video recording to be submitted as well. We will display full specifications of the hardware requirements as well as file size/resolution before it's shown. You can send us remote entries via e-mail (use a suitable subject so we don't miss it by mistake). Please tell us in your mail which machine the production is aimed for. For the most recent timetable with deadlines, please refer to the main page. These are the machines we will provide for the competitions; if your contribution is for another Atari machine, please submit a recording that we can play. This is a combined competition and we will make sure that all hardware specifications as well as size of the demo is shown before it runs. Back in 1990, Delta Force released the legendary Syntax Terror megademo for the Atari ST. There are many great screens in Syntax Terror and as a tribute we want to revisit one of it's strangest moments. 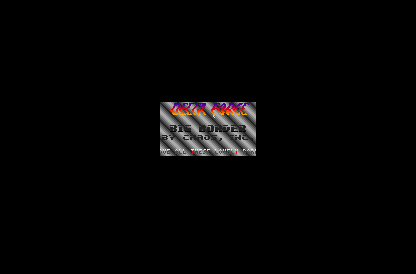 The Big Border demo screen in Syntax Terror was made by Chaos, Inc. of Delta Force and it's main characteristics is the tiny 96*54 pixel screen size. 27 years later, can someone beat the original? We allow any kind of Atari graphics, if it is for an unsupported Atari platform, please provide a PNG image along with the native format. We aim to display pictures in the native editor such as Degas Elite, EscPaint or Neochrome. Custom formats are allowed and welcome, you need to provide an executable. GIF, TARGA and JPEG images will be displayed on a Falcon with APEX viewer. Maximum displayed resolution is 768*480, but the software will scale down if necessary. More than one entry allowed. As with the graphics competition, we allow any format that is playable on an Atari. If the music is for some Atari machine that we don't have at the party, please send a recording along with the native version of the music. We try to play the music in the used editor; if possible please supply a tracker loadable file. Custom formats are allowed and encouraged. You need to provide an executable. 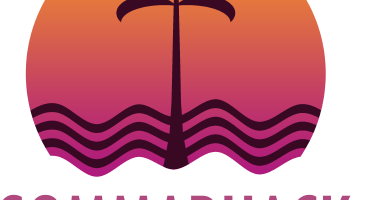 WAV, MP2, MP3, OGG music will be played on a Falcon with AniPlayer.